1 Avocado, slice into 16. 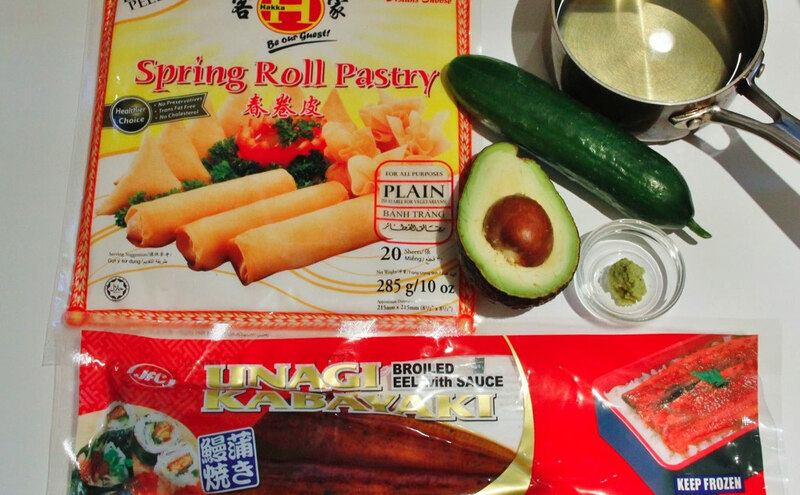 Prepare the spring roll sheets. Put a piece of Unagi and a slice of Avocado on the edge of a sheet, then roll tightly, avoid leaving any gaps. Seal the corner with the water flour mix. Repeat for rest of the sheets. Heat the oil with medium-high heat. When the oil gets 180℃, add spring rolls and fry until golden brown, usually takes about 2-3 minutes. Turn over and fry for another 2 min until it looks crispy brown! Remove from oil, drain and leave to cool for a bit before eating. 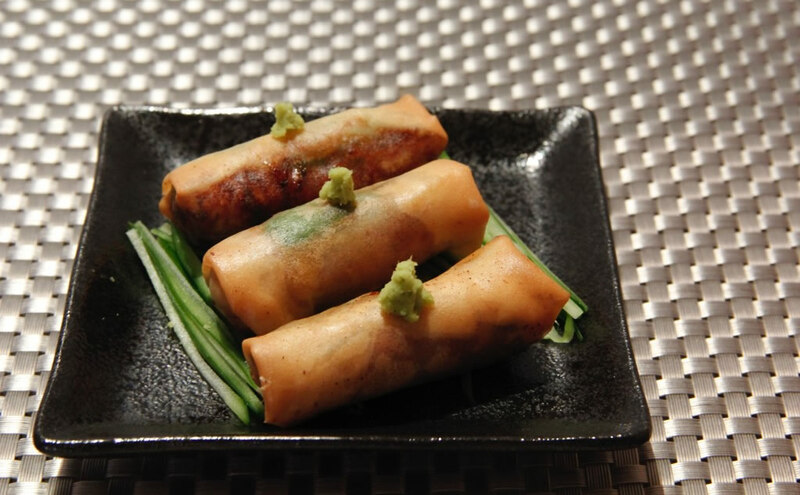 plate up with cucumber and wasabi.